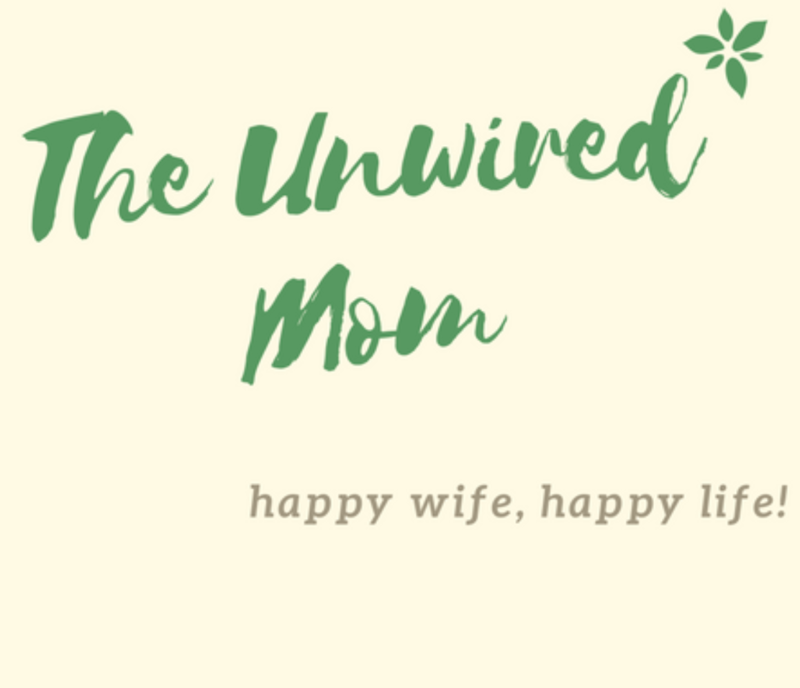 Unwired Mom | Happy Wife, Happy Life! It’s that time of year again where our kids get a break from school which means they are home all day and need activities to keep them busy (in addition to time to be bored – I think that’s important too to strengthen their imagination). I always come up with a few craft ideas for this time and buy the supplies in advance so we are prepared. Every day is different so I try not to plan too much. If it’s a gorgeous sunny day obviously we would rather be outside than inside crafting. But like I said these are great to have up your sleeve! I found this website with a bunch of spring craft ideas and rather than copy and paste their ideas I’ll just put the link here for you guys to peruse. There are lots of good ideas and things can be modified depending if you have boys or girls, etc. Isn’t fall just gorgeous?! I love the colors, the crisp air, the feeling of a new start. It’s a wonderful season! I love doing crafts with my kids and there are many fun fall craft ideas online. I wanted to share one I found recently that was easy to do for the kids (and me to prepare!) and a fun decoration to personalize their doors. 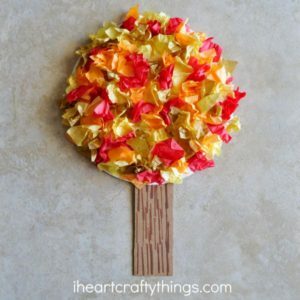 It’s a Tissue Paper Fall Tree Craft and I think it’s so cute! Hello everyone! While researching some new craft project ideas for the family I came across this idea and think it’s so cool and really fun to make with kids aged 5-10. 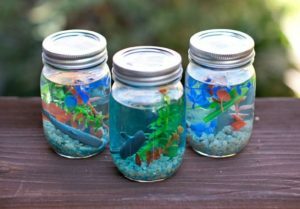 I’ve you’ve ever had your own aquarium you probably have a lot of the materials already around home making this a really affordable project too. I found other items at the dollar store and I know this is something my kids will keep in their rooms for year to come so again I really love it! Just a note we did not glue any of the materials down but I did glue the lid onto the jar so my kids coudn’t accidentally open the jars and make a mess. But that is up to you – if you want to open it up and create something new another time I would not glue the lid down. If you make this at home please comment below! What a winter we’ve had! Everyone has the flu and colds and it finally feels like we are starting to come out the other side. Taking care of sick children while you are sick yourself is no easy task! I’ve barely had any energy to do anything but cook and sleep these days. I take care of the kids and the house in there too but just barely it feels like sometimes! Things got so bad we actually hired someone to come in to cook and clean because I was just too sick to do anything and Doug was away at work during the day himself – and he also was sick and not feeling 100% but couldn’t miss too many days of work. Anyways, I definitely recommend getting someone to help during times like these – it really felt life saving. The woman we hired prepped so many meals that would feed the whole family for about a week without any additional work from me aside from popping the dish in the oven to heat up. When you’re sick it’s so important to eat good food to renourish your body and help was the only way we could make that happen as a family! Also when you have little ones with the flu there is A LOT of laundry that I couldn’t keep up with. She was so great about getting all the laundry washed and folded and keeping the house clean and germ free (until someone sneezed again lol). Anyways, I just haven’t had the energy to keep up with my blog over the winter but now that we are all feeling better and spring is in sight I hop to have some new recipes and craft ideas posted for all the moms out there. I love that feeling when spring is on the way – the days are getting a bit longer, a bit warmer, and a bit sunnier. And I could not be more thrilled! One of my favourite things to do with the kids is a family picnic. We usually wait for Doug to get home from work then pack up the car to head to a nearby park for a fun filled dinner different from our everyday. I put the picnic together in the afternoon while the kids are down for their naps (if they fall asleep – they have been little devils lately!) that way we can head straight out the door when Doug is home from work. He’s usually very hungry so he’s happy to go sooner than later! Most of this stuff we usually have on hand already, it’s just a matter of cutting everything up and putting it into containers. Since we drive to the park, I just throw everything into a big cooler and Doug packs the car. We have a huge blanket we bring to sit on and some reusable plastic plates and cutlery I have in a picnic basket. I also usually bring some things for the kids to play with like their favorite stuffies, books, and toys for the sandbox. Picnics have been one of my favourite traditions to start with my family! I plan to do for many years to come. Eventually I hope the kids won’t be such picky eaters and we can be a little more adventurous with the meals! What’s your favourite family tradition? Baking Day – Yummy Cookie Edition! Hey guys! So today it was raining outside and I thought I would whip up some cookies. I don’t know about you, but cookies always put a smile on my face. I have been on a new health kick recently so surfed around on the web to look for a healthy-ish cookie recipe. 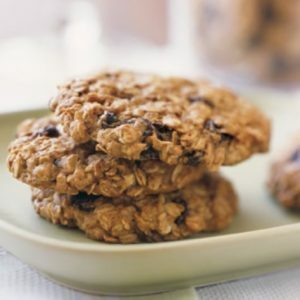 I found a great one for oatmeal raisin cookies. Check out the recipe below! It’s super easy to make and very nutritious. I have plenty left over (even after my kids got into them, lol) so I will have a nice heaping plate of cookies to bring to my book club tomorrow night. We mostly drink wine at my book club so the cookies will be a nice addition! Anyway, give the recipe a try and let me know what you think! Using a hand mixer, beat the butter and brown sugar until fluffed up ( 1-2 minutes) and add the egg, cinnamon and vanilla and beat for another 30 seconds until smooth. In a separate bowl, mix the oats, raisins, flax seeds and flour with baking powder and baking soda and pinch of salt. Then using a rubber spatula, fold the oat mixture into the egg mixture. The dough will be a little crumbly, that’s ok. Using a standard tablespoon measuring spoon or a small ice cream scoop or oiled hands, pick up golf ball sizes of the dough and place them on the cookie sheet about 1/2 inches apart ( these cookies don’t spread too much). Bake the cookies ( middle rack) for 12-14 minutes depending on the size of your cookies. Take them out while the centre is still soft but the edges have set ( if you like a chewy cookie) or let them bake an extra 2 minutes until the centres are set too if you like a crunchier cookie. Cool on the baking sheet for 2 minutes before attempting to remove them. To freeze the dough: wrap it in wax or parchment paper and freeze it as a log or pre-measure it into golf ball sizes. When ready to bake slice the dough ( if it’s a log) or bake the gold ball frozen doughs at the same temperature for an extra 2 minutes longer. I’m planning on doing one of these activities a day to keep us busy during our holiday! We will also make sure to save lots of time for naps and nutritious meals to keep everyone happy! What is everyone else up to for Spring Break? 1 cup finely diced mushrooms. In a large skillet over medium heat saute the finely chopped onion in olive oil for 2 minutes. 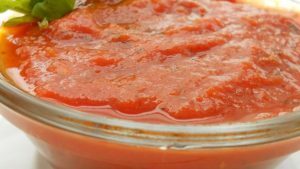 Add the blended tomato sauce. Use grater attachment on food processor to grate the zucchini, carrots, and mushrooms. Add to tomato sauce. Serve over whole wheat spaghetti noodles with lots of Parmesan cheese. If you try this recipe, please let me know what you think! Once the vegetables have cooked in the tomato sauce it’s hard to taste or see them – your kids will be none the wiser! Hello from Hawaii and Merry Christmas! Hi everyone! Wishing you all a merry Christmas from Lovely Honolulu! Doug and I got tired of the cold in Toronto so we decided to spring for an extended family trip to the Lovely Island this Christmas. I’m writing this at the reception of our hotel in Honolulu, Right before we head down to the beach and catch some sun and waves. There is so much to do here in Honolulu! This morning I persuaded Doug to stay with the kids in the hotel room while I tracked out to Diamondhead, which is a local inactive volcano which has become a hikers paradise! It takes about 40 minutes to make it to the top if you’re going at a good speed, and the views are absolutely incredible! If I lived here I’m sure I would do it every day and never grow tired of those incredible views. The food here is also pretty amazing. There is definitely an Asian influence here, particularly Japanese, which means that there’s plenty of great sushi to go around. Doug grew up in the prairies , so sushi is not very popular, and he wasn’t particularly fond of it. But me and the kids love it, so we definitely been eating our fill. Yum! We’re spending a couple more nights here in the city, before we head up to the North Shore for a few days. We’ve heard that the North Shore is very different: it’s much more peaceful, there’s far less development, and therefore far fewer crowds. It should be the perfect place to rest, relax, and have a lovely family Christmas. If you’re interested in planning a similar trip then you should definitely check out the Go Hawaii website, which was super helpful for us! I’ll be sure to update you on the rest of my trip soon! Until then, from my family to yours wishing you a very merry Christmas and a happy new year!